Thorsten: Last year was the first time you raced in Kona (with a great Rookie result!). What have you learned from that first time in Kona, what has surprised you? Patrik: Kona last year was a great experience. Far from a perfect race, so of course there is a lot of small things to take with from that race .. I lost a crucial water bottle on the bike, did some “less clever decisions” on the run and so on. All things that could be forgiven in a “normal” Ironman race, but something I had to pay for during the race in Kona. This year, I will for sure be more aware of the small details during a race and remember to follow the plan: Take that salt, ice, drink, keep cool and so on. 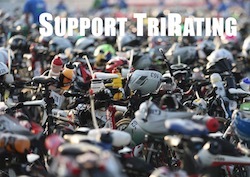 I guess Kona is a race where all small decisions also will have another side that will be shown later during the race. T: How much pressure was there on you for a good race in Frankfurt after the DNFs in early season races? P: Of course it’s been some disappointing races during the first half of the season. My focus has always been Frankfurt and Kona. So even if the 70.3 races during the first half of the year didn’t go as plan, my shape was still better than ever and the schedule clear. Teresa [Patrik’s partner and coach] and I did a couple of changes during the start of this year, some good and some less good for short-term performance. They have all developed me as an athlete, but also something we had to find the right level to perform in races. It did for sure have an impact during the first couple of races, but towards Frankfurt Teresa and I found a balance and awere able to show it out on the course. There was no pressure on me towards Frankfurt. Neither from the team or anyone around .. I had to work with the pressure I put on myself though, but before the race it was under control and I could start for the right reason. Also regarding Kona there was no pressure .. I pretty much just needed to finish the race and should then be qualified. T: How will you prepare for Kona? Another Texas camp with last year’s group? P: No camp in Texas this year. I was with the Norwegian short distance team (Blumenfeldt, Iden, Stornes and others) in altitude earlier in August. So the plan towards Kona will be an altitude camp and then off to Kona for the least two weeks before the race. T: What’s the Kona goal for this year? P: I think most professional athletes aren’t satisfied to repeat what they did the year before. An eighth place last year was for sure good, but the aim will for sure be a bit higher this year. 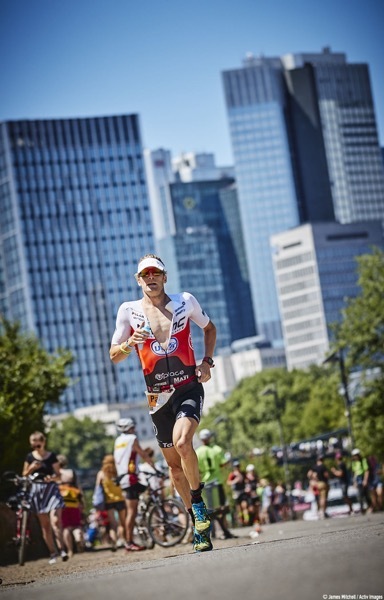 My “goal” for the race is another thing: It’s usually not based on a pure result (“to win”), but instead based on things I can control (like my feeling on the bike, technique in the swim or stride in the run). T: Last year you rode most of the bike in a good group with Patrick and David, but then you weren’t “the best runner” in that group. Does this mean that you’ll be more aggressive on the bike this year? Or is the goal to be the best runner in a similar group this year? T: What are you working on to improve in the long-term, and how “Kona specific” are these goals? P: My biking has for a long time been my weakest leg during a race which has made it natural for me to work on the bike. Then of course my biggest goal has always been Kona – which again has made it natural again to work on the bike, since the race in Kona usually offers a challenging bike ride. But my overall working points are to improve the swim a percent or two, improve the bike and stay a good runner. So I guess it also fits pretty well for Kona! T: Any insights on your teammates? It looks as if the BMC team is well represented in Kona this year! P: I think everyone can agree that “BMC – Vifit sport pro triathlon team powered by Uplace” is very well represented with seven athletes racing!! Haha and I think everyone will be doing well…. what I have heard everyone’s shape is good and motivation on top! So I look forward to a team championship and combine that with a world championship at the same time.